In the summer of 1943, an early copy of the plans blew out of a window in Norfolk House, London. A man who was passing by handed them in, saying his sight was too bad to read them. Secrecy was deemed essential with this battle. In order to attain this, a dummy army of wooden and paper maché tanks and other equipment were built in southeast England to convince Germany that the invasion was coming at Pas-de-Calais instead of Normandy. 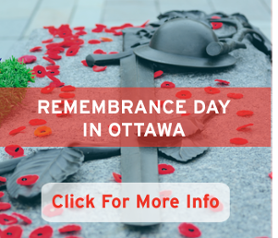 The majority of men with the 3rd Canadian Infantry Division who would go ashore at Juno Beach, had no combat experience. About 3,200 reconnaissance missions were launched in the run-up to the invasion to take photos of vital locations. Many paratroopers missed their landing zones because of the anti-aircraft fire and confusion. Nazi leader Adolf Hitler was asleep when word of the invasion arrived. No one dared wake him, and it’s said vital time was lost in sending reinforcements. The newly developed drug penicillin went with troops on D-Day and saved thousands of lives. 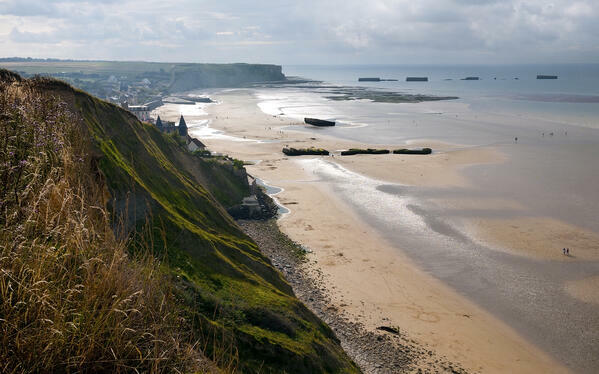 You can honour the sacrifices of the Canadian soldiers at the military cemeteries of Bény-sur-Mer and Bretteville-sur-Laize and learn more about Canada's role in Normandy at the Juno Beach Centre, a private museum in Courseulles-sur-Mer in France. 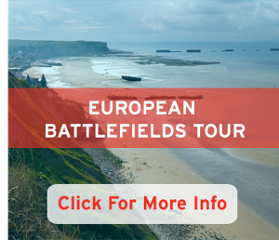 Or check out our Battlefield Tour that gives you an up-close look at the major sites from World War II.